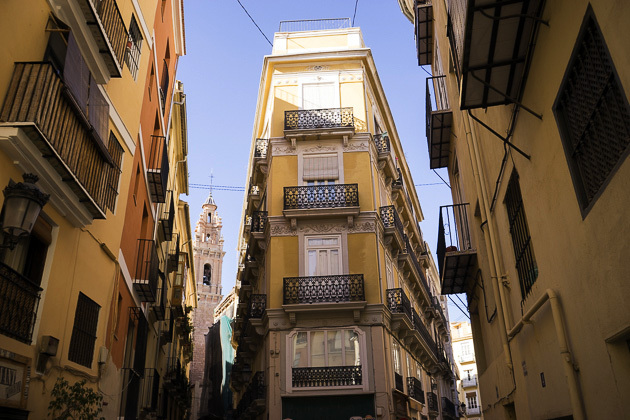 After having lived in Valencia for a few years, we knew that should we ever decide to settle down, it would be in the neighborhood of La Xerea. El Carmen is great, but can be too touristy and loud. And although we loved the year we spent living in Ruzafa, it’s a little too far from the center. La Xerea is the perfect compromise; smack in the center of the city, but without any of its noise or congestion. La Xerea is the neighborhood immediately east of the Cathedral. It runs from the Iglesia de San Esteban in the north to the Palacio del Marquis de Dos Aguas, and then east all the way to the Glorieta Park. 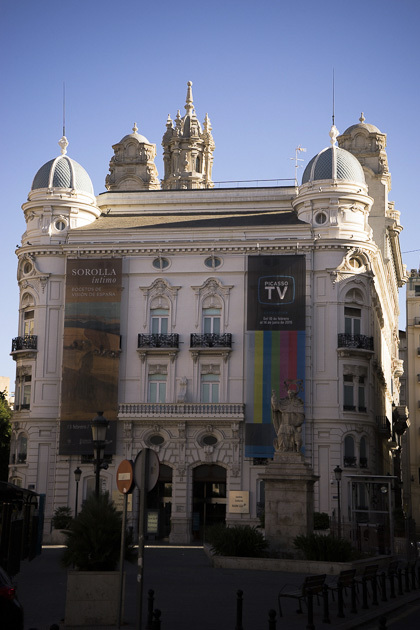 Many of Valencia’s most historic buildings and monuments are within its borders. 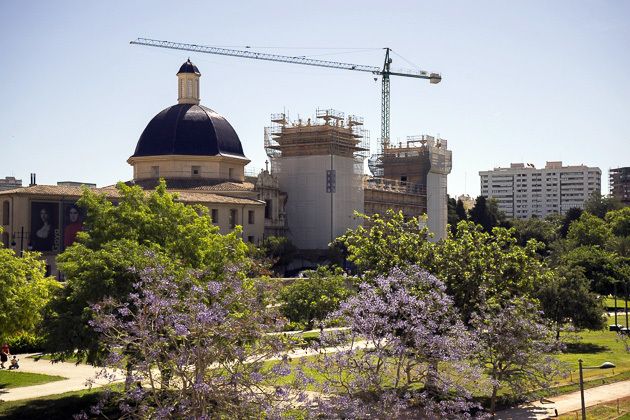 There’s the aforementioned Dos Aguas, the Palacio Cervellò, the Colegio del Patriarca and the Nau university building, and a number of churches, including the baroque Iglesia San Juan de la Cruz, the austere Opus Dei-affiliated San Juan del Hospital, and the 18th-century Iglesia de Santo Tomás. You’ll also find the birth house of the city’s patron saint, San Vicente Ferrer. Set around an interior courtyard which conserves an ancient well dating from Vicente’s day, this small house-museum is replete in hand-painted Valencian tiles and also has a small church dedicated to the saint. Right across the street is the Centro Cultural Bancaja, which is set in an 18th-century palace, and home to an ever-rotating series of artistic exhibits. Also within the boundaries of La Xerea are the Puerta del Mar (Gate of the Sea), one of the historic entryways to Valencia, and the Glorieta Park, with its enormous Australian fig trees. Here, you’ll find Calle Paz, one of the city’s busiest and most beautiful streets. And running parallel to the north is Calle Mar, without as much traffic, nor as many tourists, but home to some cool bars. Should you venture any farther north, you’re in the real heart of La Xerea. Here, the streets are almost all pedestrian, and life seems to have slowed down to a stop. The neighborhood’s name of “Xerea” (share-AY-a) comes from the days of Muslim rule, and is a Spaniardized version of the Arabic word for “law,” sharia. Many locals also refer to the neighborhood by the name of Sant Bult, after one of its more lively plazas. Every year at the beginning of June, Sant Bult throws a mini-festival to venerate an ancient crucified cross that was discovered here, which supposedly dates to pre-Moorish times. There’s a lot to see and do in La Xerea, but we most love the neighborhood for its low-key way of life. Regardless of how crazy Valencia has been — whether we’re returning home from a mascletà or yet another of the city’s incessant line-up of festivals — it’s peaceful as soon as we turn onto our street. And as much as we enjoy Valencia’s wild side, we prefer to sleep where it’s quiet. La Xerea - Calm in the Center of the Storm La Xerea is one of the six neighborhoods which make up the Ciutat Vella, or "Old Town," of Valencia. And of all the city's neighborhoods, it's our favorite. La Xerea is central, historic, packed with ancient churches, palaces and monuments, and somehow manages to retain the calm of a quiet residential zone. And most importantly, it's our home.